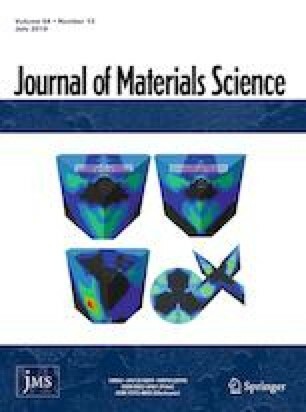 Although nanosheets of the transition metal dichalcogenides MoS2 have been the subject of extensive attention and research due to their unique properties, little research has been conducted on hybrid-phase MoS2 (1T@2H-MoS2), which has high photocatalytic properties. In this study, we prepared 1T@2H-MoS2 nanosheets loaded with Au nanoparticles (NPs) which exhibited high photocatalytic properties by a simple hydrothermal method, and the photocatalytic degradation of methylene blue by the 1T@2H-MoS2/Au nanosheets under visible light was 91.2%. This high degradation efficiency was due to the introduction of the Au NPs to produce localised surface plasmon resonance, which enhances the visible light absorption of 1T@2H-MoS2. The combination of a high content of the 1T phase and the Au NPs accelerates the transfer of photogenerated electrons, which inhibits the recombination of photogenerated electron–hole pairs and allows more electrons to participate in the catalytic reaction. The results showed that loading Au NPs on the 1T@2H-MoS2 nanosheets promoted the conversion of the 2H phase to the 1T phase, which effectively improved the visible light catalytic performance. This study was financially supported by Natural Science Foundation of Xinjiang (2017D01C055).